It might look like a cannonball with a handle or a ridiculously heavy metal handbag, but, for those in the know, the kettlebell is an essential piece of fitness equipment. Originating from Russia, kettlebell training is now a global phenomenon with clubs, gyms and individuals investing in equipment and training. Celebs such as Penelope Cruz and Sylvester Stallone are reported to be big fans, but what can kettlebells be used for? Well, kettlebells can be used for a variety of purposes including weight loss, improving coordination and anaerobic fitness and strengthening your core muscles. Perfect. But how do you use them? It’s your lucky day. 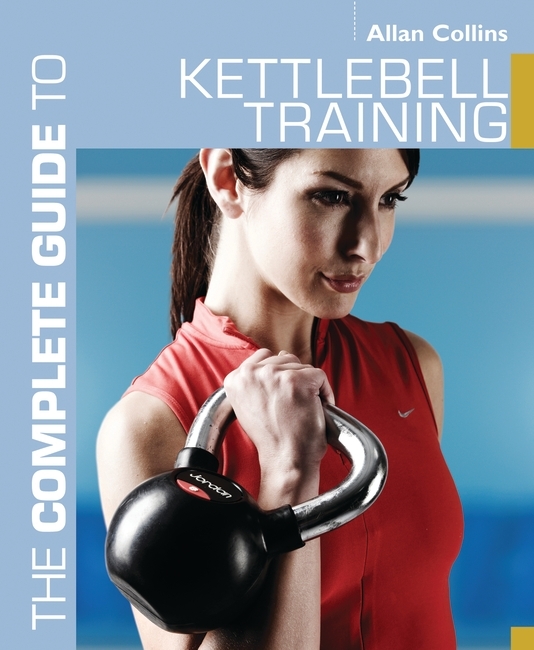 Published this October, Allan Collins‘ The Complete Guide to Kettlebell Training is a comprehensive guide to this popular fitness tool, providing practical tips on how to use and get the best out of training with a kettlebell. I know what I’ll be asking for for Christmas. This entry was posted in Books, Complete Guides, Fitness and tagged Complete Guides, Fitness, Sports Publishing. Bookmark the permalink.